That weird mix of dried oatmeal you see on the continental breakfast buffet at hotels all over the world. What is it, and how do you eat it? Before I started traveling I had honestly never heard of muesli, and when I first saw it I was confused at why people were not “cooking” their what looked like raw oatmeal. I had only ever seen oats been prepared to become porridge so seeing people pour cold milk over it, or top of their yogurt was a surprise at first. But, after I tried it, I learned to love the taste of toasted grains with those crunchy nuts and chewy fruits. It opened up another option I could have at breakfast, plus I wanted to be cool like all the other Europeans. So whats the difference between muesli and oatmeal? Well, technically you can turn muesli INTO oatmeal by cooking it with warm liquid and turning it into a porridge. This method you just have the “toppings” already in the mixture rather than putting them on at the end. 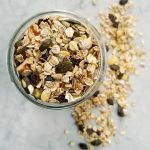 Whats the difference between muesli and granola? Muesli is a mixture of grains, nuts, seeds, dried fruits, and spices that are loose like a cereal. 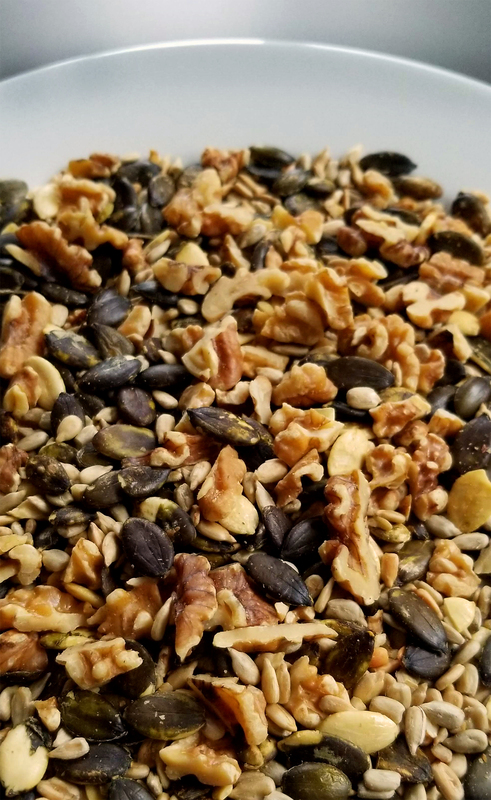 Granola has the same ingredients but normally are baked with extra sweeteners and fats (like oil) which create a more crunchy and cluster-like finished product. Like a chopped up granola bar. 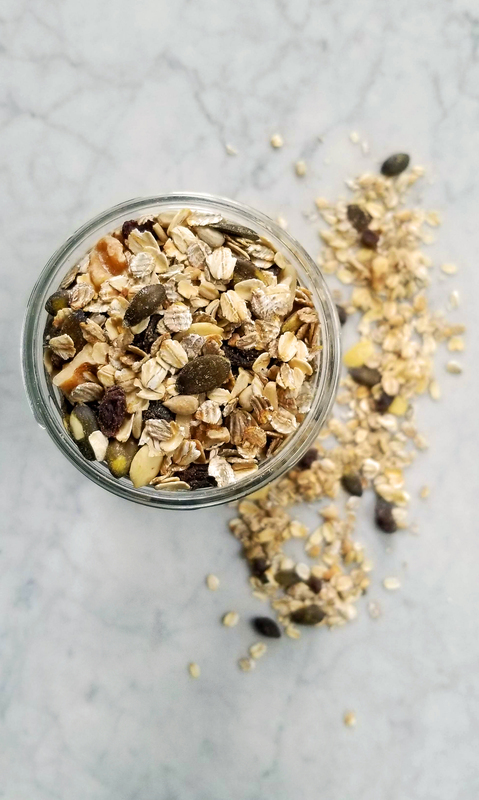 This grain, fruit, and nut mixture is a great staple to have in your pantry for a quick breakfast or a crunchy topping to your favorite plant based yogurts, ice creams, or parfaits! This recipe is just a guideline to making your own and unique twist on the international breakfast classic. Use whatever combination feels right for your tastes or your particular dish! Get creative and enjoy this continental delight! A simple pantry staple of rolled grains, nuts & seeds, and dried fruit. Perfect for topping yogurt, or having with your favorite plant milk. Preheat oven to 350 degrees F. Spread out the rolled oats and rye flakes onto a baking sheet and spread evenly. Bake in the oven for 10 minutes until the grains are toasted. Set aside. 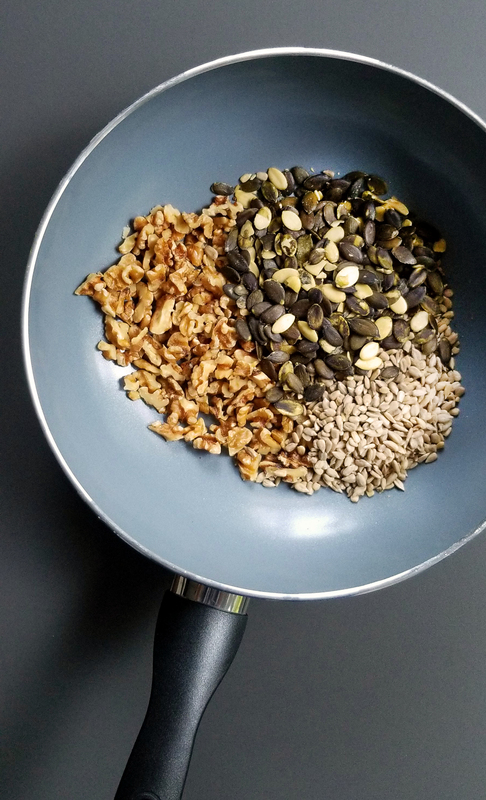 While the grains are baking, place the pumpkin seeds, walnuts, and sunflower seeds into a skillet pan. Over medium heat, toast the nuts until they become fragrant and slightly begin to change color. 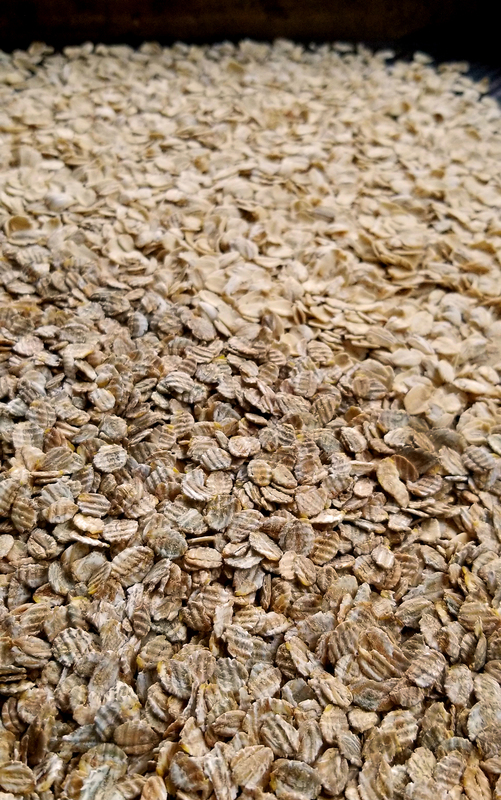 You may hear the sunflower seeds "pop." Take off the heat and place the nuts into a medium sized mixing bowl. Let nuts cool. To the bowl of toasted nuts, add the toasted grains, and raisins, add a pinch of salt (optional) and mix. Place into a storage container, and label appropriately. This Muslei recipe is just a guideline, you don't have to use the same grains, nuts, seeds,and dried fruit. Make it personal, use what you already have and use the measurements as a guideline.